Even simple conversations can be very tiring for people with hearing loss. Following a discussion with several participants requires intense effort. Active communication is difficult, which can quickly lead to isolation. 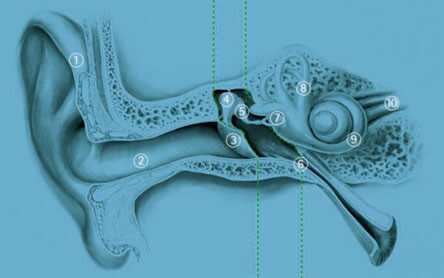 Outer ear, middle ear and inner ear.